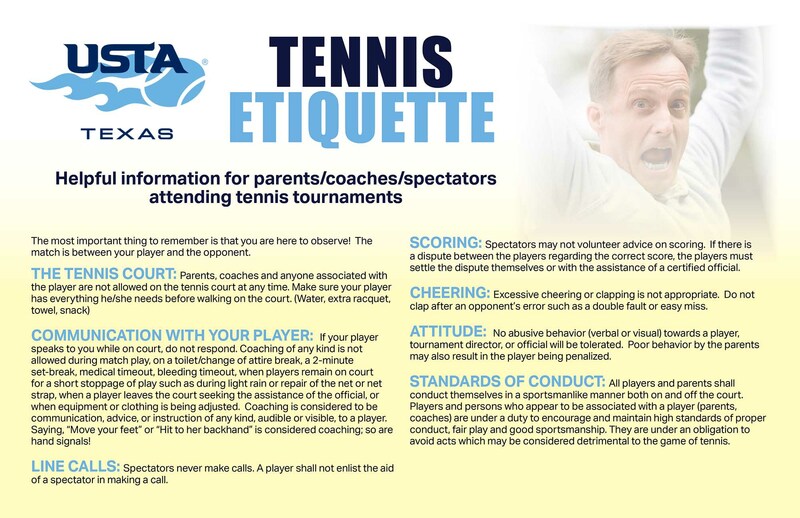 Challenger 10s tournaments are entry-level tournaments that count towards USTA Texas Youth Progression, issuing both virtual stars and trophies. These tournaments are run in conjunction with Challenger 2-Day (12s-18s) tournaments. Introduced in 2017, Participation Credit 1-Day (10s) tournaments will be offered in conjunction with Challenger 1-Day (12s-18s) tournaments. These tournaments will issue virtual stars only. Players competing in 10s divisions are limited to one Challenger 1-Day (10s)/Participation Credit 1-Day (10s) each month. Players should advance through the various stages with the understanding that this is not a race to Yellow Ball, but a process rich in development opportunities at each stage. Youth Progression encourages players to set quantifiable and achievable goals at each stage of the beginning of their junior tournament careers and will equip players with a goal-setting mindset to carry throughout their lives.